The Role & Impact Of Journal Entries, Ledger Accounts, Trial Balance And Financial Statements. The Role And Impact Of Journal Entries, Ledger Accounts, Trial Balance And Financial Statements. With changing accounting policies, it has become imperative for management to adapt accordingly to market environment. However, the basics of accounting policies remain the same. A detail study has been conducted to find out the role and impact of journal entries, ledger accounts, trial balance and financial statements. In the stage, opening balance of the account would be transferred to their respective account. This helps to maintain the account in an appropriate manner. This also helps the management helps the management to maintain account so that it reflects true transaction within the organisation (Carlberg, 2011). Opening balance refers to considering carried forward balance in the previous financial year. In this context, it is to be noted that opening balance is to be included first while preparing any ledger account. Cash, inventory, office equipments, accounts receivable and many other accounts have been considered. From the above data provided, opening balances of different ledger accounts have been included. The opening balances would help the management in recording all transaction in the business and therefore, it would facilitate the management in proper decision making (Chandra, 2009). Journal entries refer to analysing business transaction and recording in the journal books of the company. Journal entries are the first official entries of any business transaction recorded in the business (Weetman, 2008). Journal entries starts at the start of the financial year and continuous till the end of the same financial year. Journal entries are process of analysing assets, liabilities, or equity of the business. After duly recording all the transactions, managers or accountants classify and record the events according to debit and credit rules (Benedict and Elliot, 2011). For this purpose, accounting policies and procedures are followed namely Accounting Standards which are set by respective government agencies. Journal entries set the foundation for the business. With the help of journal entries and other documents, one can understand how the business operates and how it deals with its customers and suppliers (Abdel-Kader and Luther, 2008). Proper journal entries also help company in finding better solution for their business and at the same time being more transparent in their operation. 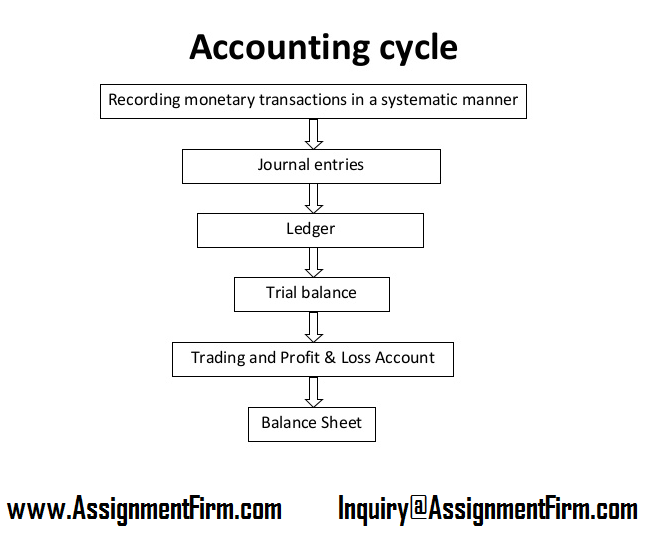 Journal entries also play an important role in developing ledger accounts and ultimately uses of financial statement. In this context, it is important for managers to develop and follow journal entries in accordance with accounting rules and regulations (Alawattage et al. 2009). Therefore, it is clear that journal entries need to be prepared in an effective manner. Journal entries are done by after analysing and verifying different documents that support transactions. In this context, it becomes difficult for managers and consumes lot of time in order to prepare and record u journal entries (Drumm, 2008). Difference in accounting standards in different countries also makes difficult for managers to reconcile these changes so that true position of financial statement can be prepared. It is also to be noted that managers also needs to have better understanding and lack knowledge may leads to incorrect preparation of ledger account (Drury, 2009). As all financial information are dependent on journal entries, any wrong step taken by the account May results in huge chaos for the company. It is also difficult to trace mistakes made in journal entries as numerable journal entries are made every day. The above journal entries have been prepared in accordance to transactions incurred in the business at the month of April. Journal entries have been in accordance to accounting standards so that it would facilitate the management in preparing effective and correct ledger accounts (Ismail, 2008). Ledger account refers to the company’s main recording accounting records. A ledger records all the transaction relating to particular items till the tenure of the business. Ledger accounts hold different types of information that are needed to be carried by management in taking financial decisions. Ledgers accounts are maintained where business follow double-entry system (Lambert and Larker, 2008). And therefore, any transaction having both debit and credit impact on the business. Under this method, one account is debited and the other account is credited with the same amount. This helps the management to keep proper records of their transaction and at the same time effectively presenting proper information (Cadle and Paul, 2010). With changing business environment, maintenance of ledger accounts has transferred from physical book to accounting computer programme. The double entry system is very effective in nature and ensures that transaction is recorded as per accounting standards. After preparing ledger accounts, they are used for preparing trial balance and thus help accountants to find out any loopholes in the business (Bebbington et al. 2010). The ledger accounts are also important in preparing balance sheet for the company. Therefore, ledger accounts serve different purposes and thus it is important for managers to have better understanding about preparation of ledger accounts and their subsequent transfer in other financial statements. The entire above mentioned ledger accounts have been prepared by considering journal entries made in the above section. Some ledger accounts had opening balances and some did not. Excess or deficit of ledger balances has been carried forward to the next month. This would ensure that ledgers at the end of the financial years reflect the true financial strengths of the company (Ingram and Albright, 2009). Date (April) Account Debited Chq. When from the above figure, it is clear that both the accounts reconcile with their subsidiary ledgers thereby authenticating the correctness of their ledger accounts. Unadjusted trial balance refers to the trial balance that is prepared by the company without considering any adjustment during the same time. This is prepared mainly to get primary data and early data so the management can have primary information before the inclusions of any adjustments (Woelfel, 2009). Unadjusted trail balance in an initial stage of preparing effective trial balance and it helps the management in having better financial statement in a better and effective manner. Adjusted trial balance is the trial balance that is prepared after considering different adjustments during the same period for which the financial statement is being prepared. Since it incorporates all adjustments within a specific period, thus the data in adjusted trial balance is reliable and is used by management for different purpose (Albrecht, 2009). After preparing adjusted trial balance, uses the same for preparing financial statements. Income statement refers to the statement that is prepared by the company during a particular financial year. Income statement records both expenses and incomes earned during the same financial year. It enables the management to different sauces of costs and revenues and determining whether the company have made loss or profit (Weiss et al. 2008). Balance sheet is a statement that is prepared by the company in order to find the current level of assets and liabilities in the business. Balance sheet also enables company to find out what is the amount of debt the company owes to its internal and external parties. Balance sheet consists of assets and liabilities and their respective figures and therefore, balance sheet is imply and representation of assets and liabilities (Kyriazis and Anastassis, 2007). In this context, it is important that journal entries and ledger accounts are prepared in an effective manner. Unadjusted trial balance, adjusted trial balance, income statement and balance sheet have been prepared in Excel sheet. Basics of accounting like journal entries, preparation of ledger account and trial balance is very important and it ensures that data represented in the financial statement are valid and authentic. From the above study, it is clear that management needs to adopt such accounting policies that are effective and at par with industry norms. This would help the management in having better understanding of their financial position in the current business environment.